No one can stop the hands of time, but there are ways to slow down signs of aging. Advances in science have made it possible to reduce or remove unwanted lines. Wrinkle fillers are a popular option that many men and women use to maintain or achieve a youthful appearance. Multiple options are available if you want to tackle fine lines, wrinkles, and other common effects of aging skin. Some people may prefer creams and lotions while others opt to take a more direct approach. For those after fast and noticeable results, professional fillers are likely the best course of action. 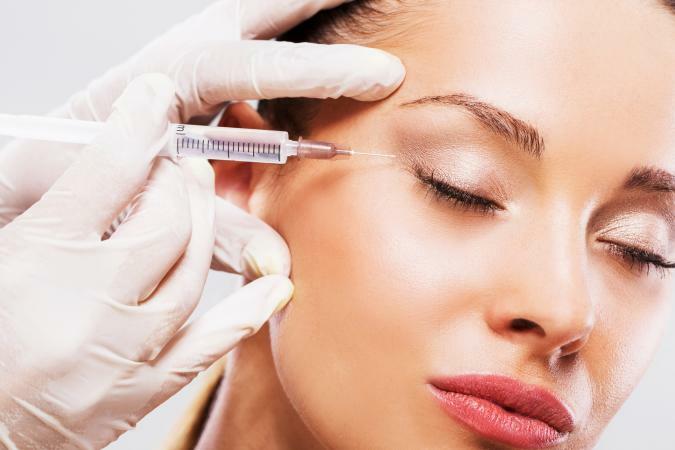 Injectables can add volume, camouflage even the deepest wrinkles, and give the skin a younger looking finish. Perhaps the most widely known filler is Botox. This was a celebrity skin care secret for years and became FDA approved in 2002. Originally used to relax muscles (offering temporary relief from face, neck, and shoulder pain) medical professionals found that this could also treat wrinkles. Many celebrities have spoken about their Botox experiences, including Courtney Cox, Kelly Ripa, Nicole Kidman, and Linda Evangelista. This injectable reduces the appearance of deep lines, wrinkles, and facial creases caused by tight muscles. It works best on the forehead and around the eyes. If you want to deal with issues on other areas of the face, this is unlikely to give you the results you are after. While Botox has been found to smooth the skin, it cannot fix sagging or drooping. As a result, problems related to sun damage and gravity are not affected by the injection. According to DocShop, the average price ranges from about $350 to $500 for each injected area. The actual cost varies based on factors like location and which doctor is performing the procedure. Generally, the effects of a Botox injection will appear within a week or two and can last anywhere from three to six months. The most common side effects are bruising, headaches, and eyelid drooping, which typically go away on their own. Another option to consider is Juvederm. Unlike Botox, which creates an almost frozen appearance, this dermal filler is designed to temporarily correct wrinkles and folds on the face. It is an injectable gel made up of hyaluronic acid, which is found naturally in the body. Many cosmetic doctors prefer this type to others as it is soft, pliable, and has a natural feel. It can be dissolved with hyaluronidase if the area has been over plumped, prolonged swelling occurs, or if there is an allergic reaction. This filler restores fullness often lost with age as well as smoothing lines and wrinkles. (Juvederm can also be used to plump your pout if you have thin lips.) It is an effective option to consider, especially if you are tackling moderate to deep lines. Celebrity doctor Dr. Ourian refers to it as an instant cheek lift, and because of its effectiveness it has become a highly desired treatment. There are drawbacks to think about before using Juvederm, like the fact that small lumps and bumps are common during the first week. According to the American Society of Plastic Surgeons, the cost of hyaluronic acid injections like Juvederm is about $645 per syringe. Depending on your desired result, the severity of the wrinkles, and doctor costs, the price may be higher and multiple syringes could be required. However, with results lasting anywhere from six months to two years (it depends on the patient), this treatment offers long lasting improvements. While smoother skin will be noticeable immediately following the appointment, there are some side effects to keep in mind. They consist of redness, swelling, bruising, and small bumps under the skin. In addition to hyaluronic acid injectables, there are also fillers that fall under the category of calcium hydroxylapatite. The brand name of this type of dermal filler is Radiesse. It contains calcium hydroxylapatite (a mineral-like compound found in human bones) which is biosynthetically produced. That means it contains no animals or animal products, which reduces the likelihood of experiencing an allergic reaction. The main purpose of this wrinkle filler is to reduce the appearance of moderate to severe facial creases (including frown lines and creasing around the mouth) and add fullness to various parts of the face. Originally used for reconstructive and dental surgeries, now it is also an FDA approved filler found to stimulate collagen production. This allows it to improve skin both immediately and over time. Something to keep in mind, however, is that Radiesse is calcium based and breaks down naturally in the body. That means there is no way to dissolve or remove the filler if you are unhappy with the results. Average Radiesse costs range from $650-800 per syringe, and can reach up to $1000, depending on the total procedure cost. According to the Radiesse FAQ, effects of the procedure are immediate and will last up to a year or longer. Common side effects include bruising at the injection site, redness, swelling, pain, tenderness, and itching. These are typically short-term issues and will likely go away on their own. Something else to consider is a synthetic polylactic acid (PLLA) injectable, like Sculptra. This is made up of biodegradable, biocompatible, and synthetic material and is used to treat wrinkles and fine lines on the face. It is unique because it has been FDA approved to improve facial volume not just for those after a younger looking appearance, but those with HIV and AIDS. This injectable works best on smile and marionette lines as well as areas around the chin. Unlike other types of dermal fillers, Sculptra gradually replaces collagen in the face. Since collagen loss occurs naturally over time, this treatment is able to restore it and deliver long lasting results. One drawback to consider is that the effects do not show up immediately. (Though water content will make the face appear puffy for the first few days.) Patients may need to go back in for multiple treatments to achieve their desired look. In terms of cost, EnhanceMyself lists the average at about $600 per treatment session. Since numerous sessions are needed, the total price can vary dramatically, depending on the number of visits required and the doctor performing the procedure. The good news? Sculptra makes skin look younger and wrinkle free for up to two years. 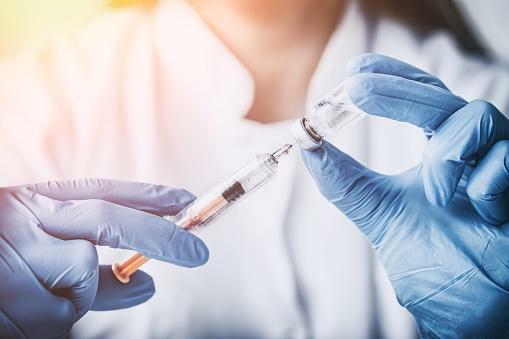 There are several side effects associated with this injectable, including: nodules forming underneath the skin, bruising, redness, inflammation, and pain in the injected area. For those hesitant to commit to a professional injection, whether due to possible side effects or cost, there are other options available. Many highly rated products can be purchased from a drugstore, beauty counter, or pharmacy. Though the effects will not be as immediate or intense as a dermal filler, it is possible to soften the appearance of lines, wrinkles, and facial folds. One option comes from the well-known skin care brand RoC. It has a dual-action formula that combines hyaluronic acid and retinol to fill creases on the face and reduce wrinkles. The official website claims that it improves skin immediately, with more noticeable results appearing after four weeks of consistent use. At less than $25 per 30 ml tube, this is an affordable choice that has garnered many positive reviews. It is also non-comedogenic (which means it will not clog pores) and dermatologist tested. Another over-the-counter option comes from L'Oreal. Their Moisture Filler is a day and night cream that was "inspired by dermatological collagen treatments." 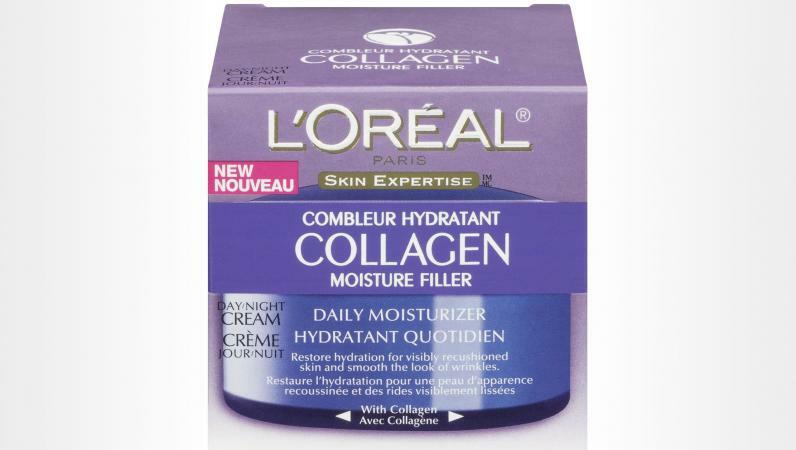 It has collagen biospheres that work to reduce obvious lines and fill in wrinkles. Consumer tests found that 20 percent of users saw immediate results, and a beauty reviewer on Women Pulse gave the product top marks for its ability to soften and smooth the skin, good value, and lightweight texture. Those interested in trying it out won't have to overspend. It costs less than $25 for a 50 ml container. 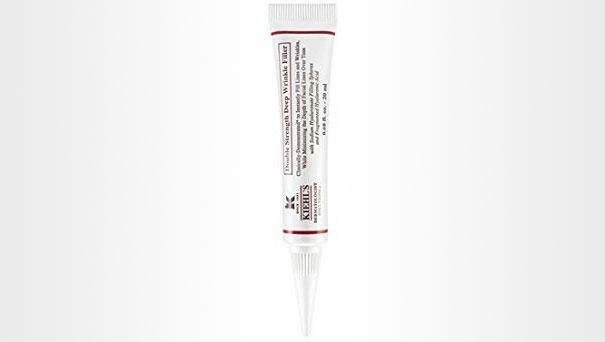 If you are after serious results, then consider the Double Strength Deep Wrinkle Filler from Kiehl's. 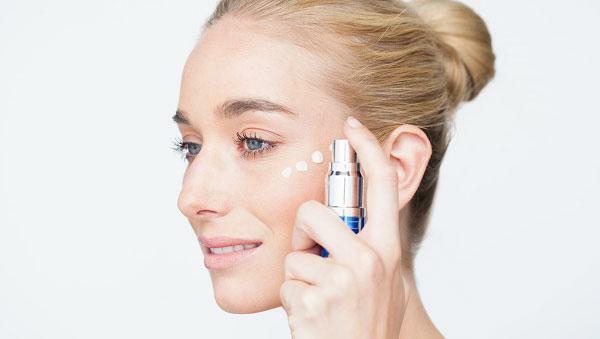 It contains hyaluronic acid (which helps to fill wrinkles and promote firmer looking skin) and sodium hyaluronate filling spheres (to promote hydration and fill out wrinkled areas). A review in the Los Angeles Times praised this product as a great skin smoother and noted it gave positive results within the first week. A 20 ml tube retails for about $40. 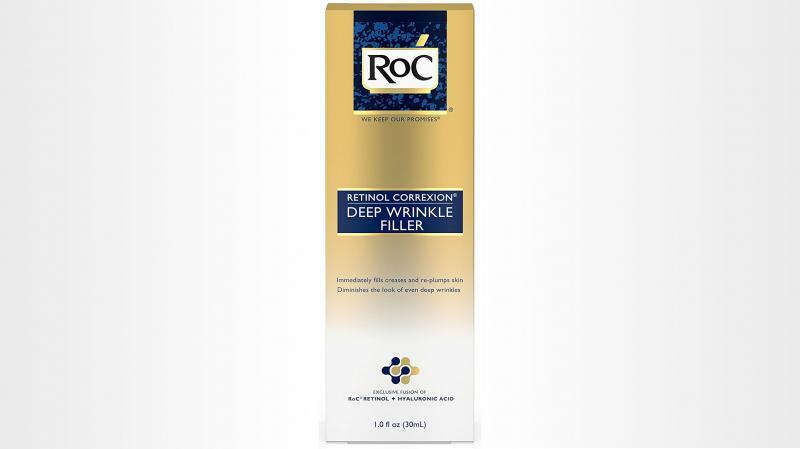 Determining which wrinkle filler is best for you will require serious thought, care, and consideration. In addition to learning more about the various options (from professional injections to over-the-counter creams and serums) it is important to think about possible side effects and the cost of the treatment. Always weigh the pros and cons beforehand. If you are leaning towards injectable fillers, book an appointment with a licensed professional. A consultation can help you make an informed decision. You will be able to discuss everything from the different types of fillers to areas of concern as well as pricing and possible allergic reactions. While wrinkle fillers aren't for everyone, there are plenty of options for those looking to modify or maintain their appearance. Do your research, ask questions, and speak to a professional. Before long, you'll be waving goodbye to wrinkles and lines.